The First prize, valued at $3,740 includes every product displayed in the Le Creuset Fall 2018 catalogue. The Second Prize is a Le Creuset Braising Set which includes a 5.3L Round French Oven, 4.7L Oval French Oven and 3.5L Braiser in Blueberry valued at $1,195. 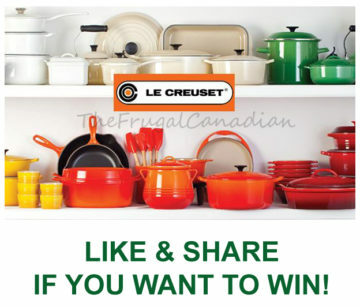 The Third Prize includes a Le Creuset Stainless Steel Risotto Pot and Rondeau valued at $520. Entries close September 15, 2018.